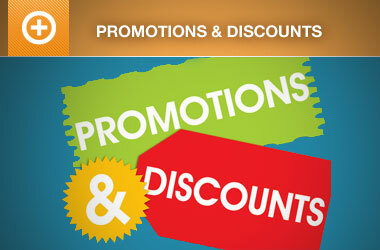 Attention discount loving event promoters! Behold the Promotions add-on beta! Finally, the Promotions add-on is ready for you to test its new, more flexible, publicity boosting, discount-ticket-price-obsessed event promoting features! The Promotions add-on is compatible with Event Espresso 4.8 (also in beta) and available to download from the pre-release channel. The new promotions add-on for Event Espresso 4 includes discounting with or without discount codes, cart discounts, and a new UI. 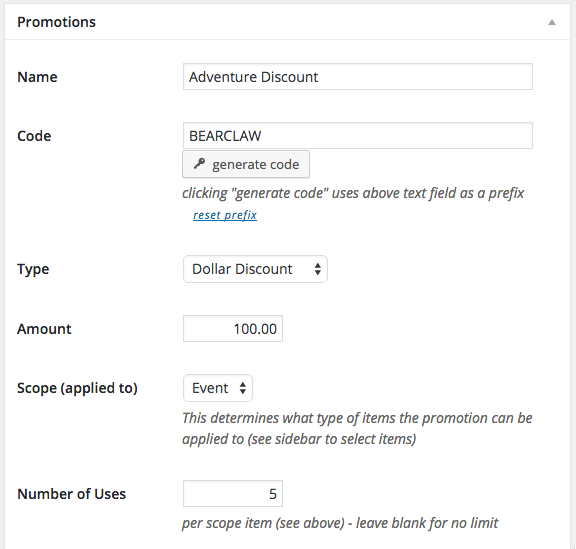 The Promotions add-on can be used to set up promo-code based discounts and non-promo-code or automatic discounts to help encourage more event ticket buying. It allows you to set quantity limits on usage, as well as set a range of dates when promotions are applied to the price of an event ticket transaction. When you set up a fixed discount type promotion, the amount will be taken off the price of the entire cart. 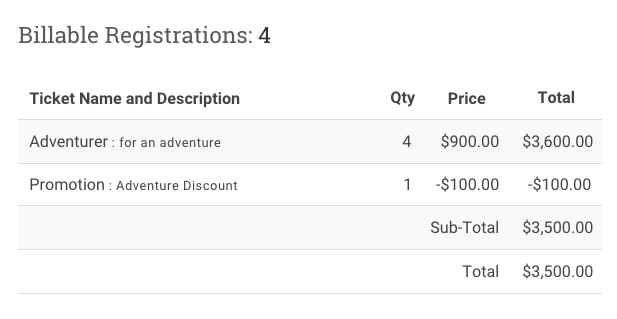 This is a departure from how EE3 discounted a set amount for each ticket in the cart. Side note: You can still make it so the discount is increased with each ticket purchased by using the percent discount type promotion. All of the promotions management happens within the promotions management screen, which keeps you out of the event editor. This helps speed up the input and management of promotions. 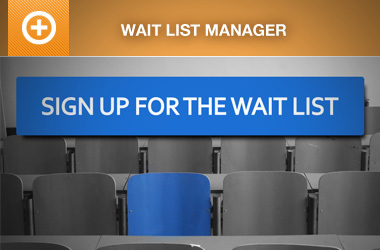 Now you’ll have more time to spend on your other event managery tasks! We look forward to your feedback from testing the Promotions add-on beta. Please feel free to start a new topic in the Pre-release channel forum if you have any questions, comments, or suggestions. I see where it says “the cart total is discounted!” How do I add items to a cart in 4.7? The cart in EE4.7 is the same as previous versions of EE4 where you select any number of multiple tickets from one event with the ticket selector. We’re also working on a Multi Event Registration add-on for EE4, which will allow adding multiple tickets from multiple events to the cart. This is currently a work in progress. Update: Multi Event Registration is now available! Is this compatible with the current released version of EE4 (4.6.27.p)? I’ve installed this pre-release add on. Where can I administrate the codes? 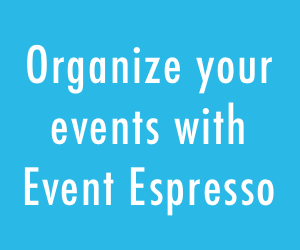 You can administrate the codes in Event Espresso > Add-ons > Promotions. I am running 4.7.2p core and have registered for pre-release. The Event Espresso “Promotions” addon could not be activated because it is incompatible with your version of Event Espresso Core. This can happen when attempting to run beta versions or release candidates with older versions of core. Please upgrade Event Espresso Core first and then re-attempt activating “Promotions”. I have had Promotions working before! This is a dev site for no support key present. The Promotions add-on is only compatible with Event Espresso 4.8 (also in beta). You can download both from the pre-release channel. great Add-on. i can’t wait to use it. one question: will be there a way to use a promotion code just for one events or tickets? i manage events from different organizer with more than one tickets and i will give out unique promo codes to them with different discounts for there events and tickets and maybe some organizer didn’t want discounts for there events. is there a release date in the near future? Maybe this year? It turns out that the Promotions add-on for Event Espresso 4 is now available. 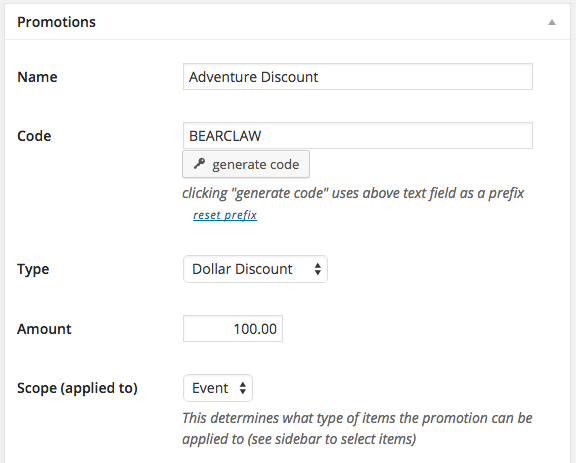 When you add a promotion to the system, you can select specific events (or just one event) that the discount code can be applied toward.